The best books to binge on snow days. Since we still have a bit of winter ahead of us, it’s safe to say that you’ll want to be prepared in the event you’re snowed in for a couple of days. Thankfully, we’ve compiled a list of fantastic new books that you’ll want to check out if you plan on staying under blankets with a good read while snowplows clear up the roads. Pulling from her time as the executive editor of ‘The New York Times’, Abramson discusses the chaos in an industry that’s dealing with video pivots, new revenue models, and fake news. She also includes four different publication takes on the current state of record distribution, which really hammers home her message in a time where we need it the most. ‘Black Leopard, Red Wolf’ is an epic fantasy that comes from the man who wrote the book ‘A Brief History of Seven Killings’. Filled with psychological triumph, African history, fantasy, and mythology, ‘Black Leopard, Red Wolf’ is about a mercenary who is hired to search for a child who has gone missing. Being the first of three novels in the Dark Star trilogy, it’s a series that’ll keep you wrapped up in suspense all winter long. She wrote ‘The Story Of My Teeth’ and she’s back with this fierce book about her compassionate reflections regarding borders, immigration, and so much more. Considering the time of this book’s release, it couldn’t be more timely. If you’re one of the many who are a fan of the podcast ‘My Favorite Murder’, you’ll love this book. Kilgariff and Hardstark discuss their struggles with addiction, eating disorders, and depression. In addition to this, they also touch on the importance of personal safety and how to live another day in these wild times. If you’ve ever wondered about the twins who were suing Mark Zuckerberg claiming they had created the idea for Facebook and it was stolen by Zuckerberg, you’re in for an interesting treat. This book revisits their Facebook issues and picks up where ‘The Social Network’ film left off. After their legal battle with Zuckerberg, the twins invested quite a bit in bitcoin. By the time 2017 rolled around, the twins became the first ever bitcoin billionaires. That’s right, it’s almost as if these twins couldn’t escape becoming billionaires. In this book, Snyder exposes the insidious and ubiquitous the domestic violence epidemic is in the United States. Providing stories from law enforcement officer, abusers, and victims, Snyder illustrates how domestic violence plays a part in sexual violence, mass incarceration, and mass shootings. The stories are gut wrenching, but it’s necessary reading. Although this book doesn’t come out until February 2nd, it’s already drumming up high praise. This fictional book is an imagined conversation that takes place between a teenage son lost to suicide and his mother. Coming from Li’s personal trauma, this book is a fearless, heartbreaking read that deserves your attention. 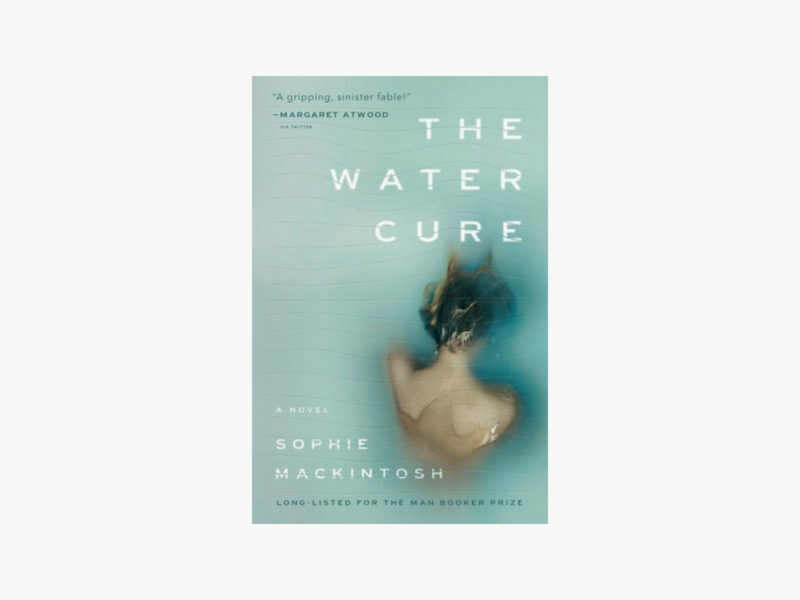 The Water Cure is the debut novel by Sophie Mackintosh about three sisters who have spent their lives removed from the toxic world that men have created. It’s when three men arrive on their island when their calm, peaceful world upside down. Mackintosh’s fable is one heck of a read that you’ll have a hard time putting down. Considering the amount of reads we’ve given you, we think you’re going to need quite a few snow days to check them all out. So if old man winter has the worst in store for us this year, you’ll be ready and waiting with a great book and some warm, cozy pajamas.